Before focusing on my next off-hour project, I'd like to give a rundown of some of the more interesting parts and lessons. 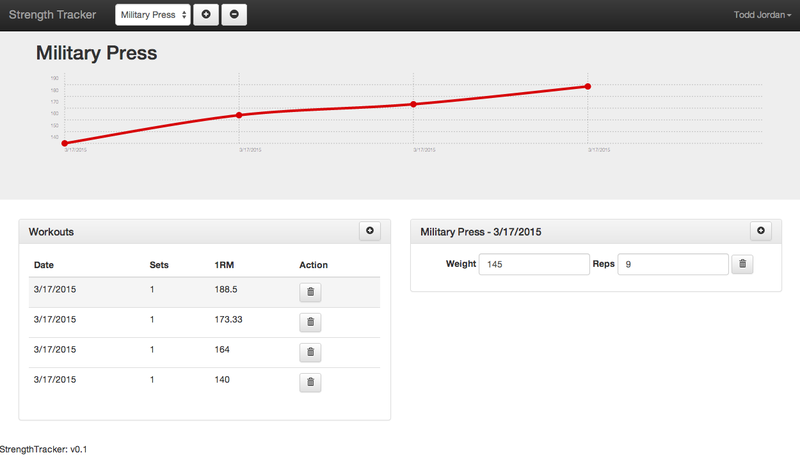 I've posted some snippets, but you can see it all together on strength tracker's github page. I used the github project angular-seed to get me going. It sets up the basic components you need to develop an angular app, such as jasmine and protractor for tests, and puts out some very basic components such as a directive (for showing version), and a couple of basic controllers that just show text that you can navigate between. Just clone the project, install the required dependencies with npm, and your are good to go. For adding the rest of the stack (Mongo, Node, Express), I just used the express generator, which laid out the express directory structure and files to get a basic server running. I then copied my angular source tree into the "public" directory. I played with mean.js, and used its yoeman generator to create a full stack skeleton, but I found that it gave me much of what I wanted to learn how to do myself, such as authentication with passport and connecting to mongo. Therefore I scrapped it for this project, though I think its a good option for getting started on a MEAN app quickly. I wanted to add some really base user registration and authentication, so I used PassportJS. Passport provides a plugin authentication architecture with some existing implementations such as basic userid/password, Twitter, and Google. While passport provides value by giving you multiple options for authentication, I'd pass on it in the future if I'm just doing local basic userid and password authentication. Most of the things I did in this stack ended up being fairly easy, but the couple of times I got hung up for an hour or 2 was with passport. I found 2 areas of difficulty. First is that passport requires a specific order of loading its various parts interwoven within the larger node startup. 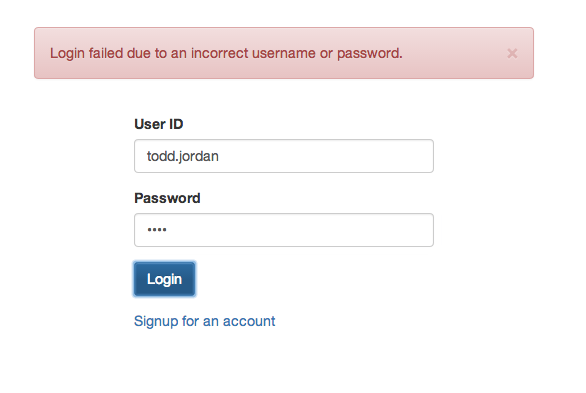 If anything is out of order, then your authentication or server startup fails with unclear errors. Express Setup with PassportJS - Order matters! Secondly, I had some initial trouble interweaving the functions needed for session persistence of logins. To login using session persistence, you need to add deserialize and serialize methods. These will interplay with calls you make to the server and with your login. callback given with the authenticate call is invoked, sending the appropriate response, 401 vs successful response and payload. user id is serialized into the session so future calls can be authenticated (until the user logs out or the session expires. finally the function that you provide to the rest login gets invoked. If you see that the login is successful (assuming you've called the "done" function with the right stuff), then you can process that result and send the appropriate data / response code. You can see it all together in my end to end tests directory. Chartist is a library build on top of D3. I saw a conference talk on it and it looked interesting, so I used it for my charting component. It already has an angular directive, so getting the charts to show up was just a matter of setting some simple json to the scope. 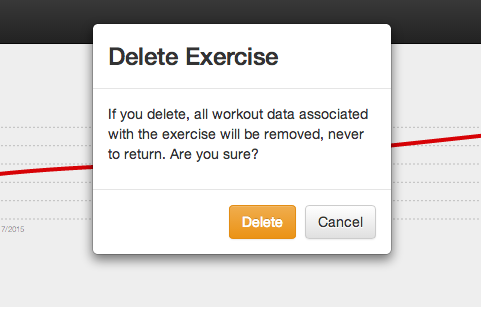 It has databinding so the chart updates magically as you update values in the UI. I wanted to use some bootstrap components, such as its alert box, dropdown and dialog box. I was able to leverage existing bootstrap angular directives.